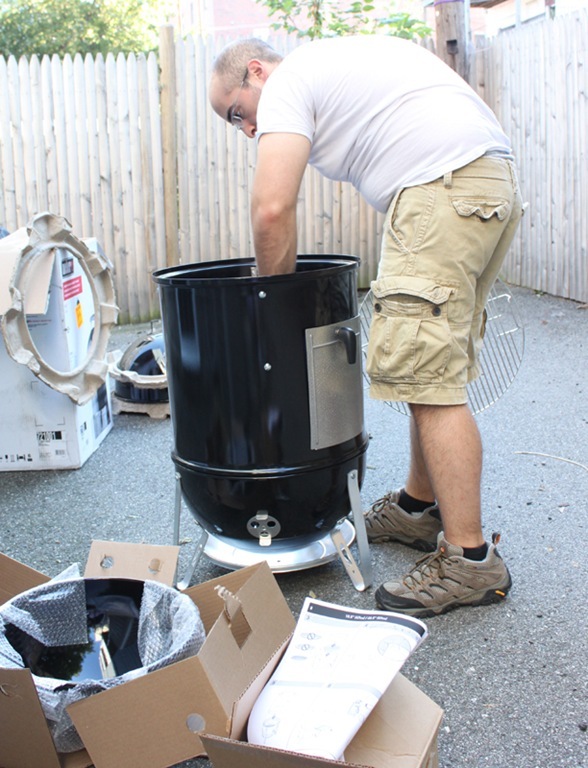 The second we bought our new house John got to work on wearing me down into buying a smoker. Just kidding, we both wanted one but it was clearly John’s top priority. (Will someone please think of the meat!?) 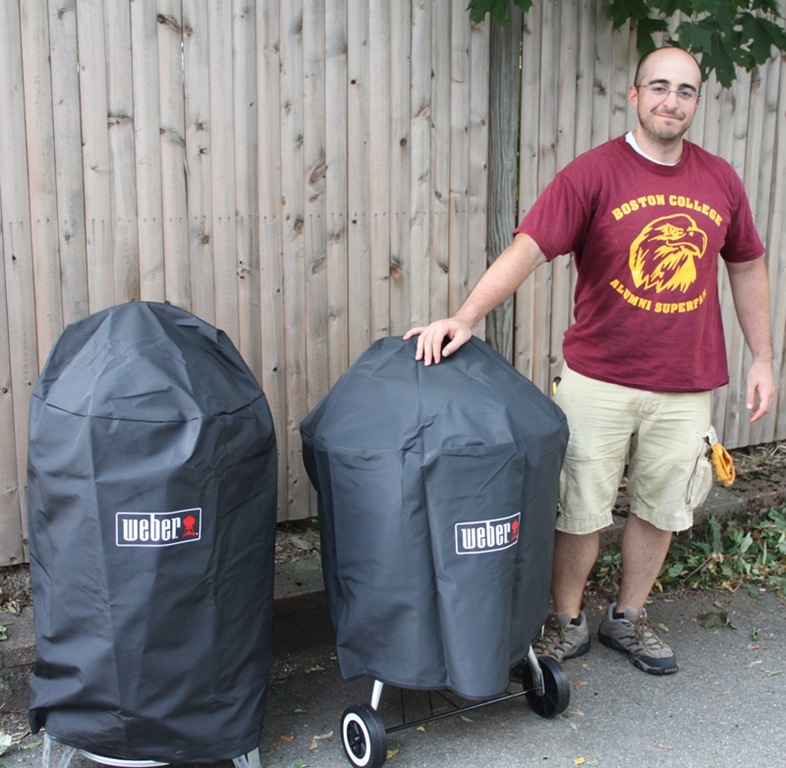 He did a ton of research and finally settled on the Weber 18.5” Smoker. 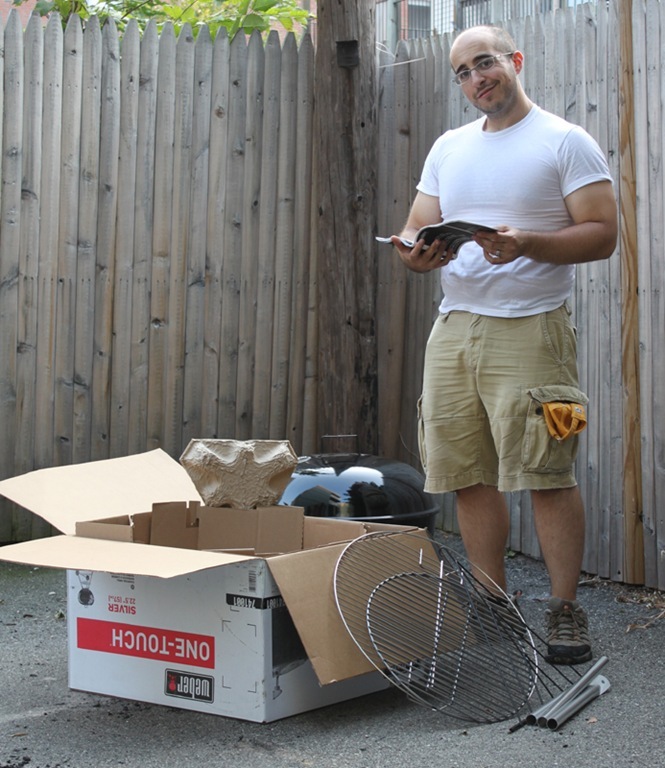 We put it together this weekend, it was relatively easy (since I just watched and took pictures). 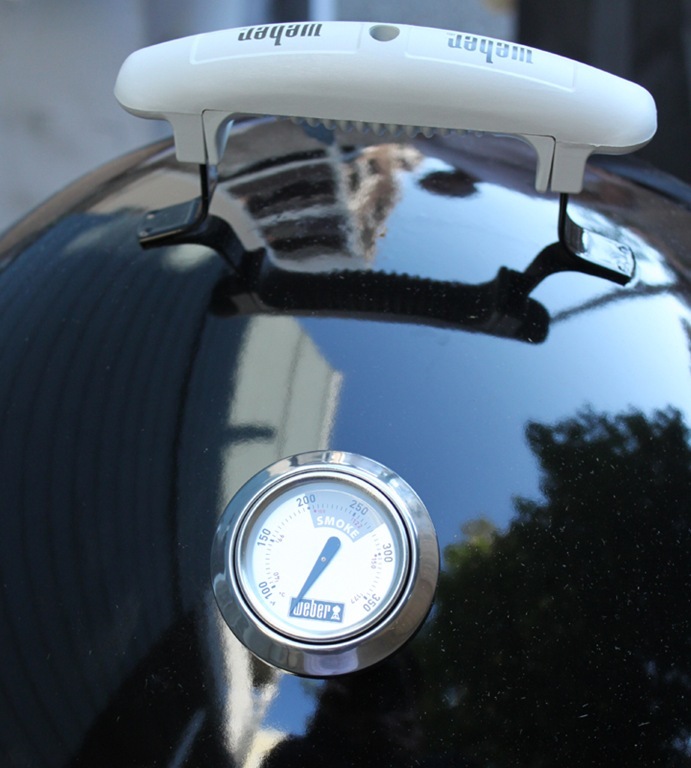 A built in thermometer, fancy! 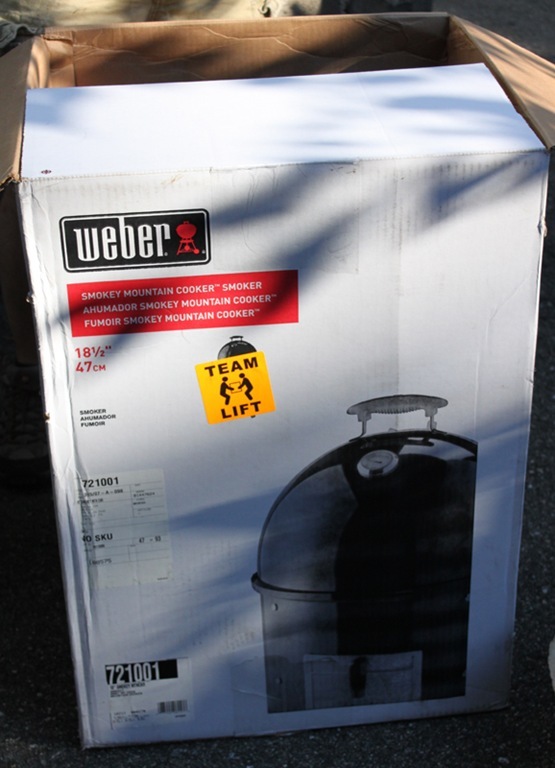 In addition to the smoker John insisted we may have impulse purchased a Weber grill at Lowe’s too. 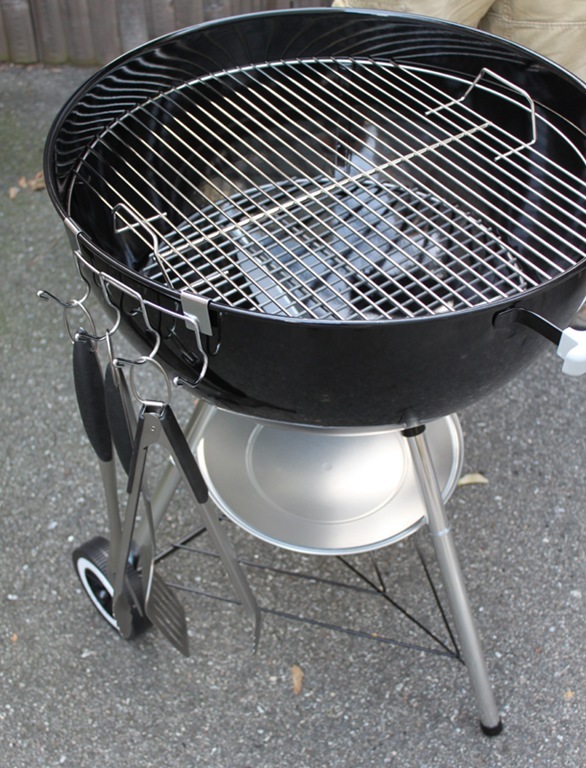 Specifically, their One Touch 22.5” Silver Charcoal Grill. 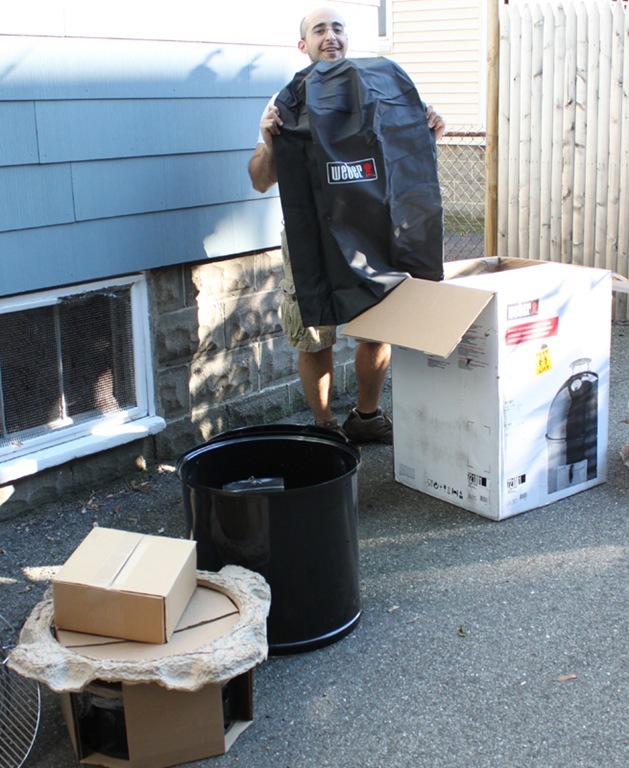 We put that together this weekend too! John and his babies. I told him I’m going to start calling them his children. We probably need names for them now, crap. Recipes we’ve made on these to come soon! That smoker is THE BEST smoker. We have made some amazing stuff on there, including the tastiest pulled pork for sandwiches ever. 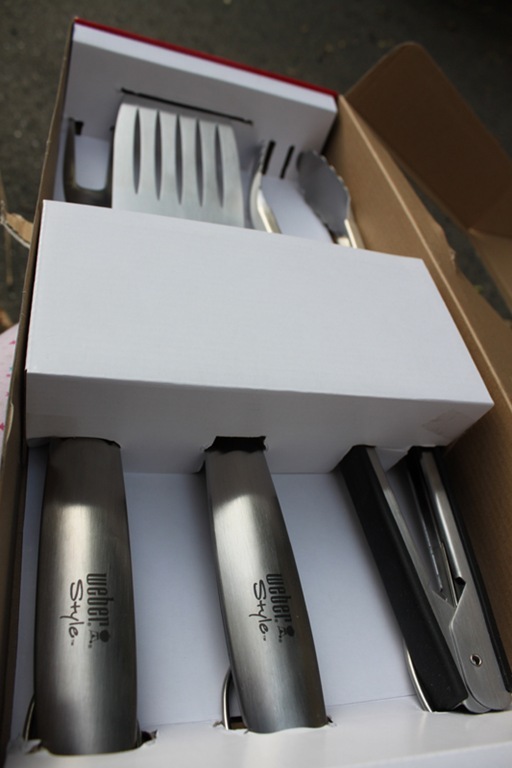 Weber makes the best grilling stuff in general. 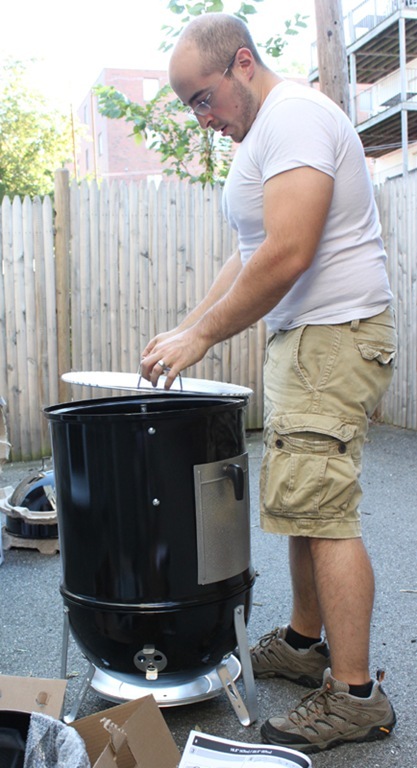 We’re big Weber fans as well and use the hell out of our grill. So far so good but I’m happy to know it has your endorsement!!! May I suggest Phil for one of the names… says the girl who has, in her backyard, Fred the shed and Mabel the table. 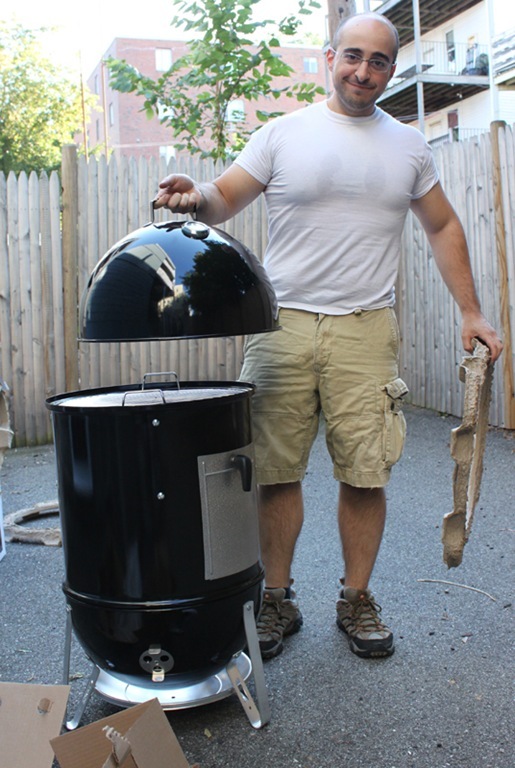 The smoker’s a tough one, though. 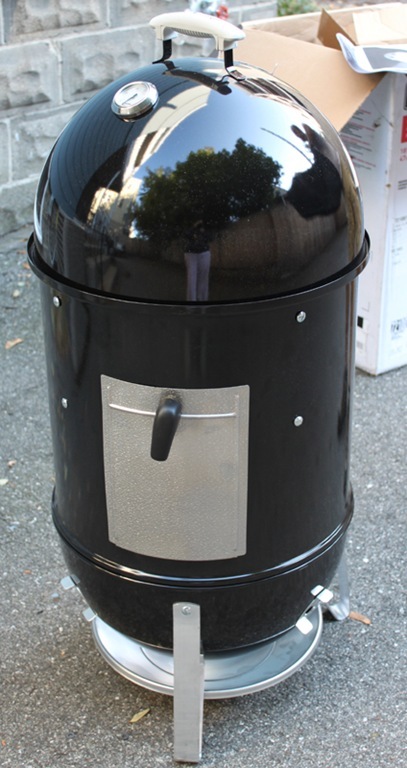 The smoker is named John Jr. 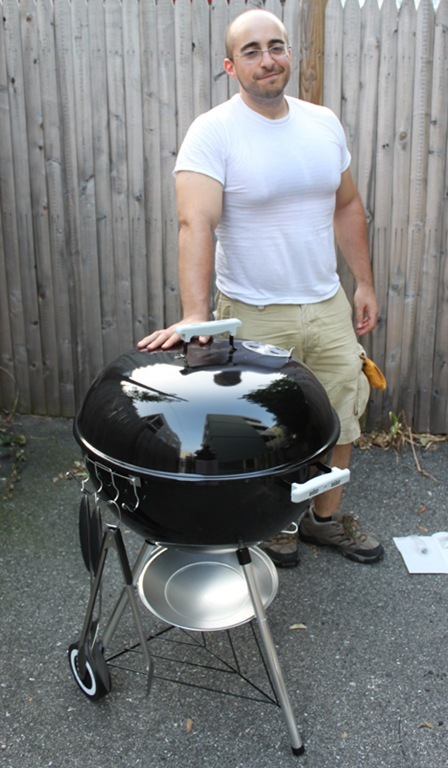 The grill is named Tyrion.